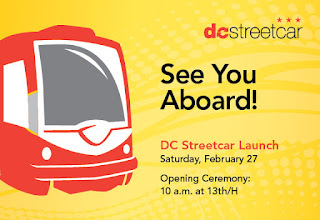 Great to see the DC Streetcar rolling, after years of trials and tribulations. 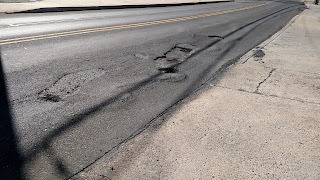 And after the unhappy demise of the Columbia Pike Streetcar (my comments here) and recent snarky streetcar stories in the New York Times and on NPR. Streetcars are not the perfect application everywhere, but they can be a really great (and cool) instrument of mobility and of urban redevelopment. Wishing the best for DC Streetcar! 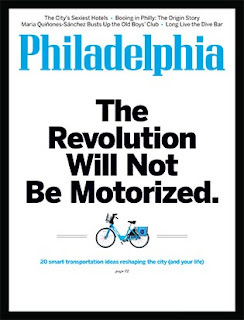 Congrats to Philadelphia Magazine for its (for Philadelphia) bold cover story, “The Revolution Will Not Be Motorized: 20 smart transportation ideas reshaping the city” (available here). I have to say “for Philadelphia” because the Quaker City, for all its many charms, assets, and opportunities, tends to have bad habits of defeatism, self-doubt, and thinking small. These 20 ideas, if implemented, would go a long way toward realizing the city’s potential. However, although I like a lot of these ideas, most of them are more about cleaning up 20th century loose ends than envisioning 21st century opportunities. Some are pretty obvious, such replacing the antiquated transit token system with modern farecards (#9). Also obvious – but expensive – is #5, building the currently planned transit extensions: Norristown High-Speed Line to King of Prussia (a Tysons-type land use and transit opportunity), Broad Street Line to the Navy Yard (should have happened years ago), and a new BRT line along the Roosevelt Boulevard. Although the article calls these “massive” transit expansions – and they are certainly expensive – they are really filling in some gaps more than transforming the system. One missing idea: a better Northeast Corridor high-speed link. The possibility of a new tunnel for a center city station needs to get serious consideration. Another missing idea: connecting up the existing transit network. 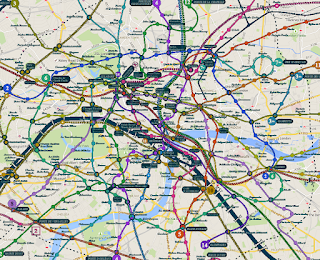 At a distance, the transit map looks like there is a real network, but if you get up close – or explore it on the ground – you will find lots of dotted lines and inconvenient transfers. But enough quibbling. 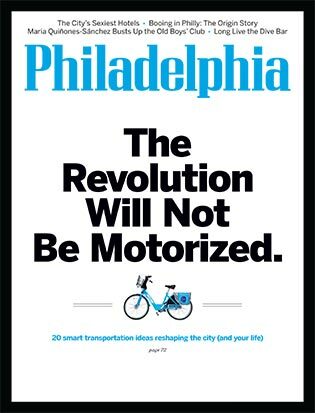 Congratulations to Philadelphia Magazine for expanding the imagination of its readers as to how transportation can enable the long overdue flowering of the city’s greatness. 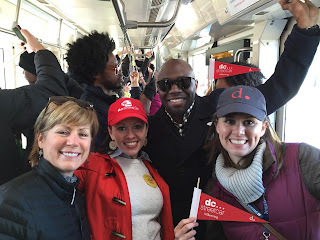 At long last – after many misadventures and in happy contrast to many struggling streetcar ventures around the country – the DC Streetcar is set to begin revenue service! So Spring is still a little more than 4 weeks away, Easter 5 weeks away, and Daylight Savings Time 3 weeks away. But now we have baseball to look forward to! Let’s hope – for folks in the transport sector in the Northeast – that the remainder of Winter is mild. I hope people are also carefully planning after-action reviews to figure out better ways to avoid – and cope with – the highway calamities that have accompanied bad weather this Winter. The latest was a 50-vehicle, 3-fatality pileup on I-78 in Pennsylvania (story here). And let’s also hope that Pothole Season is not as bad as we fear! Metro Pont Neuf for Piccadilly Circus? I have written before on some of the interesting connections between transit network design and urban form, as typified by the differences between the London Underground and Paris Metro (here and here). I recently found a piece on CityMetric (here) that really nails the point. They superimpose a geographically accurate map of the Paris Metro on a map of central London (see below). 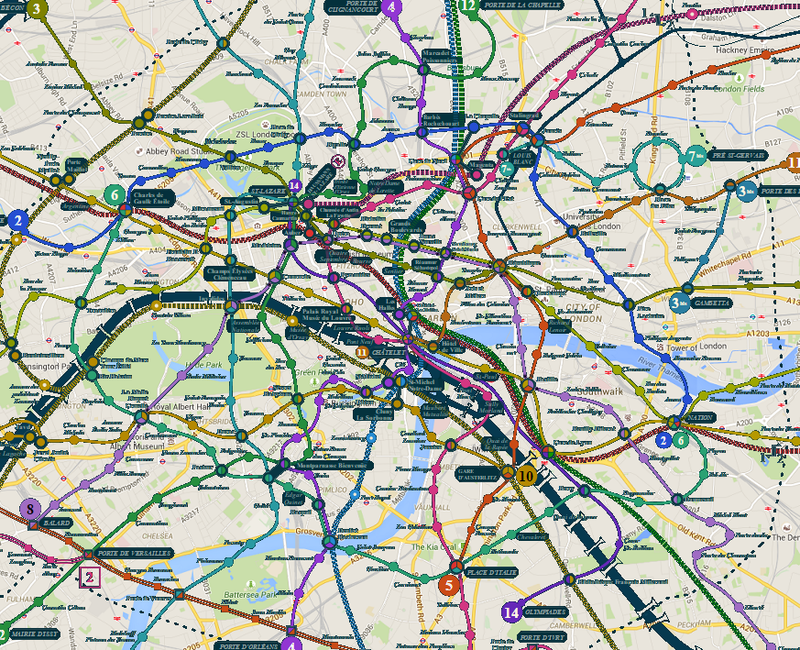 If you are at all familiar with London you will immediately see the incredible density of the Paris Metro. As the text notes, a trip from Kings Cross to Victoria on the Victoria Line involves 5 stations. If we were using the Metro Line 4 to make the same trip, it would involve 13 stops!